Space, by its nature, is pretty big. Not that you'd realise from The Old Republic, which has up until now struggled to make the best of the giant void that exists around its many planets. At a recent community event in Seattle, Bioware teased a long-rumoured update, and from the hints they gave, suggested that more robust space-based combat is on the way. There's not much to go on, and much of the community's analysis is purely speculative, but the current prevailing theories suggest that an more freeform, off-rails PvP mode could be incoming. 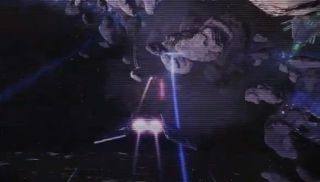 The game's previous attempt at space combat is an on-rails turret sequence - so the chance of free flight adventures would be a dramatic, and welcome, shift to that side of the game. Thanks, TORWars (via Massively ).